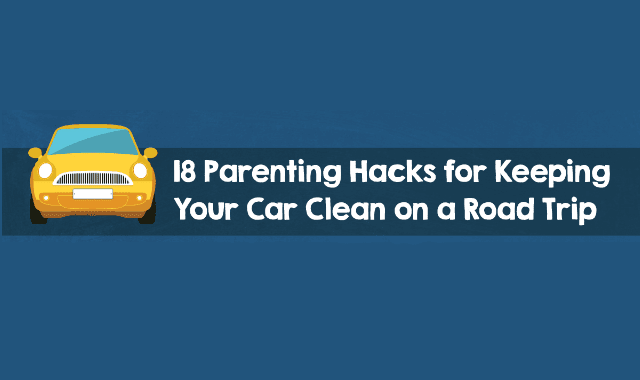 18 Parenting Hacks For Keeping Your Car Clean on a Road Trip #Infographic ~ Visualistan '+g+"
How on Earth can parents possibly keep their cars clean on road trips, especially when there are multiple children or even pets sometimes traveling with the family? Luckily, there are methods to the madness! Parents have devised all manner of clever car-cleaning tips and tricks for keeping small messes contained, including everything from how to keep car cup-holders clean to simple car organization tips to keeping seats gunk-free. These travel hacks for parents will allow you to go for miles without worrying so much about spills or hunting for the stuff you need.